We have partnered with Mr SuperPlay Casino to bring you an Exclusive 20 No Deposit Free Spins on the Fluffy Favourites Slot. Use our special bonus code to claim this special offer. New players are also warmly welcomed with a €/$/£950 Welcome Package + 110 Free Spins. Check out the details for these offers below. Why is Mr SuperPlay so cool? Mr SuperPlay is a great online NetEnt Casino website that has been in operation since 2017. The casino is operated by ProgressPlay Ltd. Mr SuperPlay has a fun, aqua green coloured theme. The casino has a superb selection of NetEnt and Microgaming slots. Popular NetEnt slots include: Starburst, BerryBurst, Asgardian Stones, Fruit Spin, Gonzo’s Quest, Jumanji, and more. There is also a great selection of Microgaming slots including: Lara Croft Tomb Raider, Terminator 2, Thunderstruck, Bridesmaids, and Mermaid Millions. 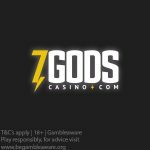 Sign up for a casino account using our Exclusive links and banners on this page. Once your account has been verified, log back in to claim your 20 No Deposit Free Spins on the Fluffy Favourites Slot. Only new players may sign up for a casino account. Free spins winnings and bonuses carry a 50x wagering requirement. The maximum conversion is 5 times to bonus amount or from free spins: €/$/£20 or 200kr. Restricted players: Belgium, Belize, Croatia, Cyprus, Denmark, Greece, France, Hungary, Israel, Romania, Serbia, Slovenia, Spain, Turkey, USA, Italy, Lithuania, Luxembourg, Portugal, British Virgin Islands, and Bulgaria. NEW!! 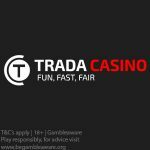 Trada Casino 25 No Deposit Bonus Spins now up for grabs on sign up! Posted in Mr SuperPlay Casino and tagged Mr SuperPlay Casino, No Deposit Free Spins, november 2018 offers. 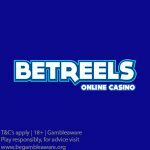 ← CasinoJefe November 2018 Free Spins Calendar – Claim your free spins this month!